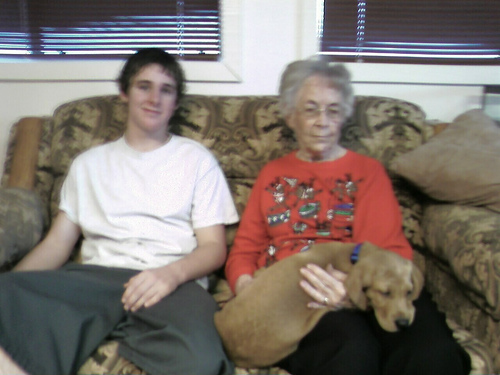 Had a great time, and we’re wiped out. 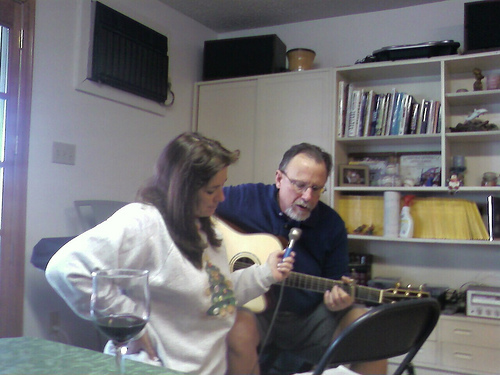 Here are some vaguely representative photos via a fuzzy phone camera. 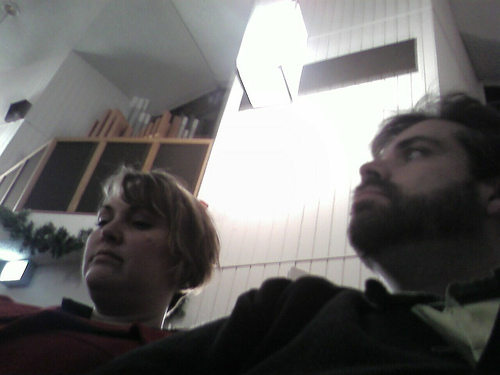 This is Leah and Me at a very unflattering angle listening to my Uncle Lee sing at a local church service (Lutheran) he sounded great! That’s all I have for photos. 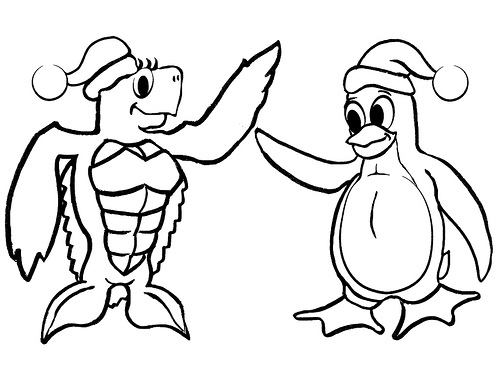 I also have a drawing I did as the basis of an ornament for some friends of ours who happen to love Linux and the Ocean. I did it in pen, then a brush pen, then embellished in PhotoShop. Leah and colored the final product with crayons. That’s right, we were kicking it like 2nd Grade, baby! Right now, 9:56pm on Christmas Day in the Year of Our Lord 2007, I want to sleep now. Joe Crawford blogged this at 9:50pm in 2007 in December. The 25th was a Tuesday. You are reading this 11 years later. Comment. There are no comments Tweet. Send email. It has hashtags→ christmas drawings photos .